Its no secret that parents have struggled for decades to get kids to eat their veggies. I myself never liked veggies and it was a constant fight with my parents.. no comment mom! The purpose of this article is to generate ideas to help each other out with this never ending battle. I am not a Dr. or a specialist of any kind. I recognize that what works for me now may not work for me in the future so I'm always trying to stay one step ahead of my little monkey (which is tough to do). I'm aware that what works for me may not work for you but I do love the thought of moms (& dads) teaming up and supporting each other through these challenges. I was the pickiest eater ever. I still am. I don't like things with different textures or things that look green or slimy. When I had my baby I was determined not to pass my weird food issues onto him. I started him out on homemade baby foods like peas, carrots, cauliflower, squash and sweet potatoes. Later I introduced him to sweets like fruits etc. I hoped that I could train his pallet to enjoy these veggies before becoming obsessed with sweets. I didn't force him to eat anything he didn't like but I continued to serve those foods over an over at later meals. Sometimes he'd eat them sometimes he wouldn't. We just didn't make a big deal out of it. I quickly learned that he would eat the breads first and then want more so I started to serve the veggie first and then when he finished I gave him the rest of the meal. He didn't seem to take issue with that. I NEVER used language in front of him like "oh you don't like that" or "he doesn't like this or that"
Once he could verbalize that he "don't like" something I would just say "you always loved that" or I'd sing the catch song from Yo Gabba Gabba "Try it! 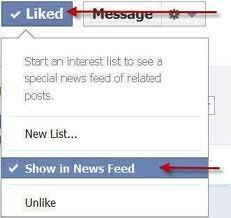 You'll like it". Now I tell him that in order to be big and strong like Superhero's he needs to have lot's of fruits and veggies. If he really didn't want to eat something I would encourage a bit but I didn't force it, but I don't offer alternative foods!!! 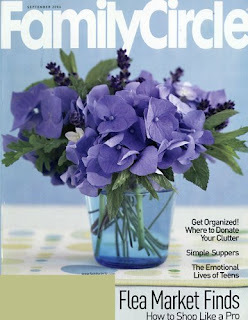 There are also may ways to hide the veggies in the food (there are several books/websites with easy recipes). We try not to focus on the food while eating. We enjoy conversation and stories which distracts him easily enough. So far he loves broccoli - we call them trees - beans, carrots, lettuce, cucumber and olives. I know it's not exactly a vegetable but the kid would kill for hummus! I have noticed that for the most part he only refuses the mushy stuff like raw tomatoes or steamed zucchini. My solution to that is to chop them up in tiny pieces and then mix it with the rest of his food. He loves rice so mixing things in rice seems to help. Below is a pic of tonight's dinner. He's said in the past that he doesn't like zucchini so when he asked what it was I told him it was a summer vegetable. He tried it and really enjoyed it. The other thing I've tried to be aware of is my own behavior towards food. Even if I don't plan on eating what I've cooked, I put it on my plate. I try to take a bite in front of him or get my husband to steal it off my plate when he's not paying attention. I do recognize the hypocrisy in that but I'm working on it. So far these things have worked well for us and my son's diet is very versatile. The challenges I'm running into now that he's a bit older (4 1/2) is hearing his friends say they don't like something and he want's to follow suit. I wish it worked the other way around! I'd love to hear what has worked for you or what hasn't worked. Also what suggestions do you have as he get's older and realizes that his friends have different tastes or is able to see through my shenanigans? Check out our other posts on healthy snacks like Yogurt melts and Homemade Smoothies (using more berries will hide the color)! 1 Year Free Digital Subscription to Parenting School Years Magazine, no strings attached, no credit card required. Read on your iPad, Android Device or Computer. Just click on the banner below to get your subscription. 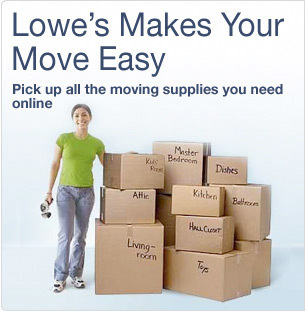 Did you know Lowe's has a moving center? When you register you get a Coupon for 10% off everything up to $5000. Click Here for details! This would help out a lot if you have to buy new appliances or building supplies! Back to School Coupon Deal, take $5.00 off your order of $39.98 or higher before shipping and taxes. Click banner to print coupon or enter code SCHOOL at checkout! Woot.com is having so many crazy deals, I wish I could post all of them but I can't, here's just a few! Don't forget everything ships for $5.00, order as many items as you want and the whole thing ships for just 5 bucks! $4.00 for the 2PK Crazy!!!!! 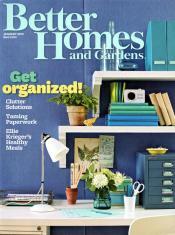 Get Better Homes & Gardens for only $ .35 an issue, a 1 year subscription is only $4.21 today only! Send a FREE Card for any occasion from Cardstore.com! Send a card for any occasion absolutely FREE, if someone has a Birthday coming up or an Anniversary or you just want to say Hi. Follow the link below to Cardstore.com and choose a card, personalize it and Cardstore.com will send it for you absolutely FREE. FREE Cards + FREE Shipping at Cardstore.com! Use code: CAJ2719, Valid 7/19 thru 7/22. Shop Now! I like to think I know a lot about getting inexpensive hotel rooms when traveling, I've stayed in many many hotels over the years between traveling for work and traveling for pleasure but this is one I had never thought of. I found this tip in an article I was reading and I thought it was genius, to get the best deal on a hotel room instead of calling the 800 number or calling the hotel and asking for the reservation line, ask to speak to the manager in charge and try to negotiate the best deal. 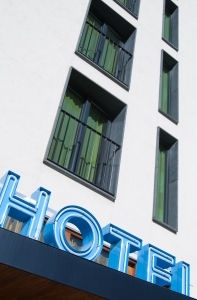 If it's a large hotel chain the manager may just pass you back to room reservations but if it's a smaller chain or independent the manager may be willing to work out a deal with you, especially if there are a lot of rooms available. Anybody out there in the hotel business, does this work, is it worth trying? Need to make extra ice for a summer party but don't have enough ice trays, or if you are like me I only have the ice maker on the fridge and I don't even have any ice trays. Use the styrofoam egg cartons to make ice, or you can use them to make ice tea cubes, just pour in some ice tea and freeze then your iced tea won't be watered down from regular ice cubes, I love ice tea when it gets hot, it's the only thing that quenches my thirst. Sign up for the Chili's Email Club and get exclusive offers and print a coupon for a FREE order of Skillet Queso & Chips! Karen and I have been having Garage Sales for Years, we live for the opportunity to purge (get rid of crap) and get money for it (extra spending cash for the casino). After many years of having garage sales and going to garage sales we've learned a few tricks of the trade, you will have to forgive me if I rant once in a while (actually alot) but some things to me are just a no brainer but not everyone shares my same opinion. 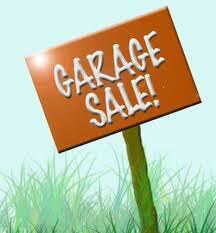 Here's some of my do's and don'ts of having a Garage Sale. Spend time getting prepared if you can, don't just wake up Saturday morning and decide to have a garage sale, clean and dust the items you are putting out, nobody wants to buy your child's outgrown highchair with baby puke on it, I don't care how nice it is or how much money you spent on it. Make sure the kitchen items don't have a greasy residue from sitting on that shelf above your cabinets for the last 10 Years. Have everything priced, if you can't price everything at least put up signs saying make offer or everything on this table $1.00 or whatever, some people don't like to ask and if it's not priced they may just walk away. Spend time on Signs, It cracks me up when I see a 8 1/2 x 11 piece of paper written with regular pen ink on a stop sign, who do they think we are super heros with xray vision? Nobody can read it and quite frankly if that's the kind of effort you put into your signs then I can't imagine your sale is much better, oh and one small tidbit of info: make sure the spelling on your signs are correct. We use large pcs of cardboard and then cover it with white sheets of paper and then use sharpies or markers to write in HUGE Letters, include dates & times. Please be kind and take down your signs when it's over, nothing irritates me more than following signs that people put up for their sale 2 weekends ago but were too lazy to take down. This is for the person having the garage sale and the person going to garage sales...HAVE CHANGE, nothing irks me more than your very first customer of the day wants to buy an item for 50 cents and hands you a $100 dollar bill and says do you have change, seriously people don't leave the house with a $100 dollar bill and expect people to break it, get a bunch of small bills, same for the person having the garage sale, if you are hoping that I will just say keep the change because you don't have 3 quarters to give me forget it!!!! Try to have tables, if you don't have a table try to improvise with buckets and plywood or your ironing board or something at least. 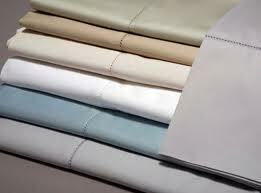 If everything is on the ground on a sheet in a big pile I usually just drive on by. If you have clothes try to hang them somehow, I guarantee if they are on a hanger and look nice they will sell much better and at a higher price than if they are just in a pile to pick through on the ground, one small hint at least use your lint roller to get rid of the dog and cat hair (just saying). Greet every person that comes and say thanks to everybody that leaves whether they bought something or not, Karen and I grew up learning retail and customer service and I'm telling you a smile and a "Hi, How are you" goes a long way. It just blows my mind when I show up to a garage sale and you are the only customer there and the homeowner doesn't make eye contact with you or doesn't even bother to say Hi, hey you invited me to come to your sale with your signs it's not like I just knocked on your door and said sell me your stuff, the least you could do is say HI to me. Have a FREE box and put it right up front, it is the best way to get rid of stuff that won't sell, seriously you could put a bag of dog poo with a ribbon on it and if it says free someone would take it. Don't be afraid to put anything in the free box, I guarantee someone will take and you don't have to put it in your own garbage. Have a cooler with ice and sell cold pop and water, if it's a warm day people will gladly pay $ .50 or $1 for a cold bottle of water or soda, just make sure you have a little profit margin in there, you don't want to give it away. Be willing to negotiate, I know some people aren't comfortable negotiating so you just price your item and then someone comes along and offers you less but you don't want to negotiate so you just let it go at the cheaper price and then you feel robbed. There are a lot of people not afraid to offer you next to nothing for your items so either price it lower and stay firm on the price or maybe price it a little higher then you have some wiggle room if someone wants to negotiate the price down. Be honest and disclose details about items that aren't working or maybe missing a piece or part, if something doesn't work tell the person interested in it or if part of something is broken but the rest of it still works let them know, have an extension cord available to plug things in if people want proof that the item still works. First of all it's the right thing to do, second of all you might think well I'll never see them again so who cares but it could be a neighbor from down the street that you've never met and you sell them some faulty item and don't tell them, believe me they will remember and maybe tell the their neighbors that you are a not a nice person (probably in not so nice words). Have grocery bags, you know you have a million of them stuffed somewhere so get them out and reuse them for your customers. People remember nice and organized garage sales and will come back, we've had people tell us they remember us from a previous year. This isn't a must but it's kind of nice, have some kind of music playing quietly in the background, you don't want to have Black Sabbath blaring (no offense Ozzy, you know I love you but...) if there is some quiet music in the background it breaks up the silence and may actually keep people there longer, when I am the only customer at a sale and there is absolute silence and if the homeowner doesn't greet me then I just feel awkward and uncomfortable and want to get out of there quickly. I know not everyone feels like that but it can't hurt to try it! Just a few of my Garage Sale no brainers, what are some of yours???? 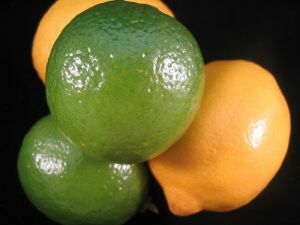 Here's a few tips using lemons or limes, if you just need a small amount of lemon or lime juice but don't want to waste the whole thing, instead of slicing it in half just puncture it and squeeze the juice out. Store in the fridge wrapped in plastic! When you are juicing the whole fruit, roll it back and forth on the counter with the palm of your hand to release the juice from the segments inside. Save the rinds in a plastic bag in the freezer so the next time you need lemon or lime zest and you don't have any fresh, just grab the rinds from the freezer. Use any leftover citrus rinds to keep your disposal fresh, just grind them while you have the cold water running, smells wonderful!! Here's a few really good Amazon deals I found, of course I found coffee, if you like Hazelnut flavored this is a great deal. Three 12 oz bags of Community Coffee Ground Hazelnut for $10.43, that's $3.47 per bag and it's eligible for Super Saver Shipping! Walnut Acres Organic Apple Juice 32oz bottles pack of 4 $5.26, that's $1.31 per bottle which is really good for organic, also available for Super Saver Shipping! Awesome price for India Tree Sugar, Lavender Pastel 3.5oz Pack of 3 $6.19, also eligible for Super Saver Shipping! If you use onion powder this is a great deal, Six 2.25oz jars of Sauer's Onion Powder for $5.50, that's $ .91 per jar, also eligible for Super Saver Shipping. 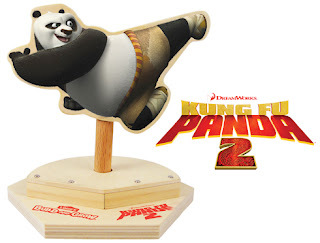 Lowe's is having their Build and Grow Clinic on Saturdays and Sundays, this weekend your kids can build this Kung Fu Panda Spinning Attack for FREE! Saturday at 10 AM and Sunday at 2 PM, remember you have to register ahead of time. Register for Lowes Build and Grow Clinic. 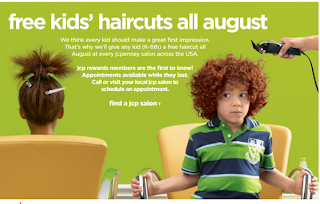 FREE Kids Haircuts at JcPenney the whole month of August! I know where I'm going to get my Daughters haircut before school starts! 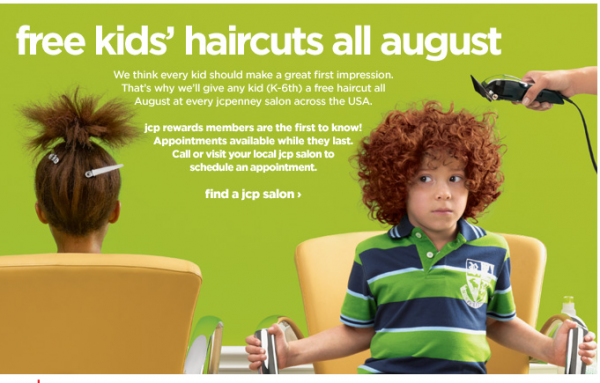 Offer is for K-6th Graders and by appointment only so I would make an appointment ASAP, go to JcPenney.com to find a salon close to you! Do you pay for water, some people are fortunate enough to have a well or live someplace where you don't have to pay for water. We have to pay for our water and we have 2 water meters, one for inside water and one for outside water and of course they charge more for outside water, so every summer I'm always in a dilemma, do I want to pay a fortune and keep my lawn green or just save the money and let it go dormant, seriously people IT'S WATER, I'M PAYING A FORTUNE FOR WATER......... The backyard stays pretty green without a lot of water because it gets shade but the front gets full sun and starts to look bad after a few days of hot temps, I'm sure our neighbors just love us! 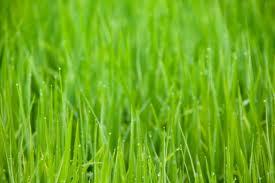 Is it worth it to you to pay high water bills to keep your lawn green all summer? My Celery I grew from Celery that I bought at the store! This is my celery I'm growing in my backyard just in a pot, I saw it on Pinterest (of course) so I had to try it, I started it with a base that I cut from a regular bunch of celery that I bought at the store. You can see right next to the growing celery is a base I cut today that I'm going to plant. This one tall stalk took a couple weeks to grow this big, there are some smaller stalks growing around it but I'm not sure if they will catch up. I planted the new base right next to my already growing celery, I just left the top exposed a little, some websites you read say to completely bury it but this is how I planted the other one so I'm going to go with what works for me. Hopefully soon some little green leaves will start growing out of the center, I'm thinking this one will grow a lot faster than the other one because we finally have some warm weather and sunshine. This is so exciting!!!!! I'll post some pictures when this little guy starts to grow, I know you're on the edge of your seat waiting! Believe me this doesn't happen very often, I've been on a cleaning spree and I am so motivated I decided to take the vacuum apart and clean it too, this burst of energy could end at anytime and I'll be back to cleaning 15 minutes before someone comes over (hopefully it doesn't end before I get the vacuum put back together or I'll be in trouble). My SIL told me about this site, she uses it to take her kids bowling KidsBowlFree.com. Once you register you get 2 FREE Games of bowling per child per day. It doesn't include adults but you can buy a pass for adults at a discounted rate. Check to see what bowling alleys are participating in your area! 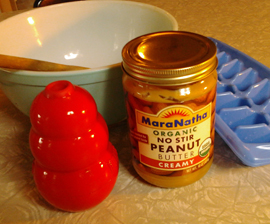 Peanut Butter Popsicles to keep your Dog cool in the heat! If you have dogs here is a great OUTDOOR treat to keep them cool, I got this recipe from the The Humane Society of the United States, it also has lots of other good ideas for keeping your pets cool. Spoon the mixture into the cubes, or drop onto the tray just like you would cookie dough. Freeze, keep them in a ziploc bag in the freezer. 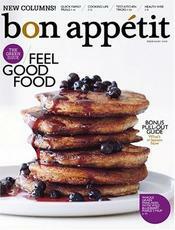 Bon Appetit Magazine 1 yr Subscription only $4.99! 12 Monthly issues of Bon Appetit Magazine for $4.99, that's less than $ .42 an issue!! These were at IKEA for $2.99, reminded me of when I was a kid, I think they might have been Tupperware back then? I don't do anything fancy, fill it halfway with whatever juice I have and then fill the rest of the way with water. I could even skip the juice and use just plain ol water, my daughter wouldn't even care, just the fact that they are frozen and on a stick is all she cares about. I know we get Amazon Local Deals here in the Seattle area, check and find out if they are in yours. Sign up and get Local deals up to 75% off sent to your email, I've seen some good ones!!! Check out Amazon, they have lots of $2.99 Soundtracks ! Now you can use that $3 MP3 credit that was free yesterday, did you get yours???? Here's a few! I promise if you serve this dip and fresh fruit at your 4th of July BBQ it will be the most popular thing on the whole table, you better make a double batch. Yes it is sugary yummy goodness but it's a good way to get everybody to eat fruit. Only 2 ingredients and just a couple minutes to whip together. Mix very well (use your mixer) until it is creamy and there are no cream cheese lumps. 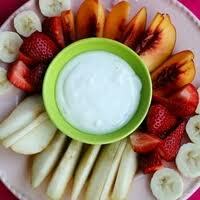 Serve with fruit, strawberries, apples, pears, whatever fruit you want. I especially love using granny smith apples, the combination of the sweet dip and the tart apple slice is heavenly, or you could just eat the dip by itself by the spoon full like I do...HA!!!! If you want to earn some Freebies, join Swagbucks! Swagbucks is a super easy FREE way to earn gift certificates or even cash, I cash my Swagbucks in for Amazon gift certificates, it only takes 450 Swagbucks to get a $5 Amazon gift card and you don't have to wait for the mail they just send you a code. There are hundreds of other prizes to buy with your swagbucks, you can even get cash in your paypal account. You earn Swagbucks by going to the Swagbucks site and taking surveys or watching video clips sometimes they just give you free swag codes, if you search the internet through the Swagbucks site or make any purchases you earn lots of swagbucks! 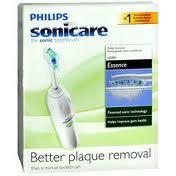 Totally FREE to sign up, you won't get rich but you can earn some freebies pretty quickly! FREE download of Parenting with Love & Logic from Amazon! One of my daughters teachers told me this was a great book, you can download it FREE from Amazon to your Kindle or even your computer. Do you live in King county outside the city of Seattle? You can take the One Less Bag Challenge, find ways to reduce your garbage by one bag per month by recycling more and using your yard waste bin for all your compostables! When you sign up and take the Pledge you get 10 free compostable bags, a spatula to scrape peanut butter jars and other hard to clean containers and a recycling do's and don'ts book with a fridge magnet! Go here to sign up One Less Bag Challenge.